TRC’s innovative single family new construction program empowers builders to adopt energy-efficient designs that meet and exceed California’s ambitious building code. The California Advanced Homes Program (CAHP) is designed to encourage builders to adopt energy-saving designs through an escalating incentive structure and bonus incentives for achieving sustainability goals and certifications. Go Green Financing is a State-sponsored website designed to help consumers find the best financing options available for their energy projects. This website allows California residents and businesses to browse a continuously updated database of financing solutions and filter the various options down to a more manageable number, making it easy to get in touch with a lender that fits your own unique needs and preferences. Visit Go Green Financing. An Energy Efficient Mortgage (EEM) is a mortgage that credits a home's energy efficiency in the mortgage itself. EEMs give borrowers the opportunity to finance cost-effective, energy-saving measures as part of a single mortgage and stretch debt-to-income qualifying ratios on loans thereby allowing borrowers to qualify for a larger loan amount and a better, more energy-efficient home. Learn more about an Energy Efficient Mortgage. Homeowners: If you are thinking about upgrading your home HVAC system or adding insulation, now is a great time to do it! You can qualify for up to $4,500 in rebates on energy upgrades for HVAC systems, attic insulation, and more. Take advantage of these energy efficiency rebates soon. For more information, go to Energy Upgrade California - Bay Area Rebates - enter your zip code, then click on “find rebates and& incentives” to see what incentives are offered in our community. PACE Financing allows property owners to finance energy efficiency, water conservation, renewable energy, and electric vehicle infrastructure upgrades to their property by repaying the cost of the improvements through a voluntary assessment on their property tax bill. PACE offers 100% financing for eligible improvements, a repayment period of up to 20 years, and the reliability of pre-approved contractors. Switching to a smart thermostat allows you to create automatic and programmable temperature settings based on your daily schedules, weather conditions, and heating and cooling needs. You can save money on cooling and heating costs and increase comfort by replacing your manual or programmable thermostat with a new smart thermostat. You may also be eligible for a $50 rebate through PG&E on qualifying products. PG&E customers are eligible for net energy metering (NEM), which credits excess electricity production at the 12-month average of the market rate for energy. Over a 12-month period, the customer has to pay for only the net amount of electricity used from PG&E over-and-above the amount of electricity generated by their solar system. You can find out more about how to participate here. 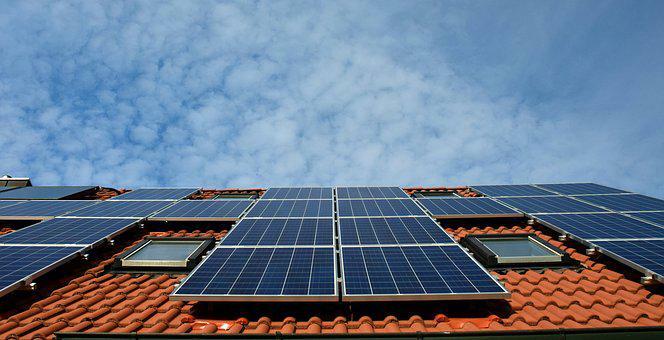 California Solar Initiative is accepting rebate applications from low-income customers in two programs, the Single-Family Affordable Solar Housing (SASH) Program and the Multifamily Affordable Solar Housing (MASH) Program. Find out more at their website. An extensive list of incentives throughout the country can be found at the Database of State Incentives for Renewable Energy (DSIRE). The Federal Tax Credits for solar technologies expire at the end of 2021. For more information about federal tax credits for residential solar systems, click here.